IQS Directory provides a comprehensive list of laser inspection system manufacturers and suppliers. Use our website to review and source top laser inspection system manufacturers with roll over ads and detailed product descriptions. Find laser inspection system companies that can design, engineer, and manufacture laser inspection systems to your companies specifications. Then contact the laser inspection system companies through our quick and easy request for quote form. Website links, company profile, locations, phone, product videos and product information is provided for each company. Access customer reviews and keep up to date with product new articles. Whether you are looking for manufacturers of laser inspection systems, laser scanning services, laser inspection equipment, or customized laser inspections of every type, this is the resource for you. Decision Technology is a reliable, experienced provider of machine vision systems and related engineering, integration and services. Our cost-effective machine vision solutions cover a wide range of applications and technologies, and include complete turn-key systems as well as consulting. At LMI Technologies we work to advance 3D measurement with smart sensor technology. Our award-winning, FactorySmart® sensors improve the quality and efficiency of factory production by providing fast, accurate, reliable inspection solutions that leverage smart 3D technologies. Unlike contact based measurement or 2D vision, our Gocator All-in-One 3D Smart Sensors remove complexity and dramatically reduces implementation cost. Mercron is a top manufacturer in the vision systems industry, focusing on quality machine vision inspection systems, machine vision systems and high-speed resolution scanning. We provide fluorescent, halogen, metal halide and high-pressure sodium lamp controller power supplies. We can do nearly anything in the field of machine manufacturing. We have 80 years of industry experience, including laser inspection and the manufacturing of custom machines. We work with each customer to create precision solutions and machines for your exact needs. Find out more on our website or call today for more info! Navitar is a manufacturer of laser inspection appliances that are reliable and efficient. Navitar’s equipment provides automation for accurate, high speed analysis and process control capable to fit your specific needs. Please visit our website today. Laser inspection is one of the most common uses for machine vision as it provides heightened quality control assurance with speed and precision unmatched by a human workforce. This technology introduces an opportunity for manufacturing quality, uniform and consistent products to a degree not easily achieved with human or other optical inspection systems. Laser inspection involves the use of a specific type of photoelectric sensor that employs a highly focused beam of light to detect surface defects at a microscopic level, count parts as they move through production and scan codes or serial numbers as needed for a given application. While other vision inspection systems are also used to this extent, many industries prefer lasers which offer non destructive mechanical and structural evaluation for parts, equipment, repairs and products. Aerospace, warehouse, pharmaceutical, automotive, food processing, communications, and retail industries among others rely heavily upon laser inspection services in conjunction with vision sensors and software. With such broad capabilities, it is important to consider the performance specifications of a given laser inspection system with regards for its intended use in the industrial or commercial sector. Common concerns include sensing mode, detecting range, position measurement window, resolution, available memory and response time. Properly applied laser inspection technology allows for the partial or fully automated sequencing of in-process and in-line testing and surveillance of products and materials. The word laser is actually an acronym for “light amplification of stimulated emission of radiation.” While many different wavelengths and types of lasers are widely available they share common features. The light produced by a laser is a coherent, monochromatic and highly directional. Furthermore, these beams do not expand over long distances as does ordinary light. This is important as it allows the extreme accuracy required in laser inspection applications. Accurate results are not, however, achieved by the use of lasers alone. Instead, the devices are used in conjunction with vision sensors, processors and vision software to provide manufacturers with the complete data set for an object, component or material. The function of these photoelectric emitters and receivers is relatively straightforward. A mirror is used to direct a focused beam of consistent wavelength towards the surface of the item to be examined. The light is then reflected back in varying amounts and intensities which are measured by pre-programmed software which collects the data and translates it into a user friendly readout. 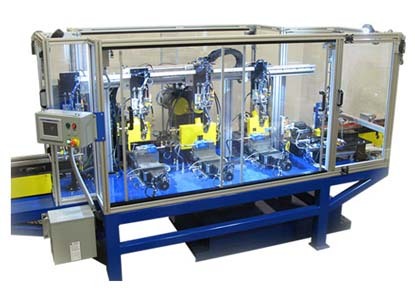 Fully automated systems go a step further and use this data to engage machines or robotics to remove defective components or sort parts as needed. 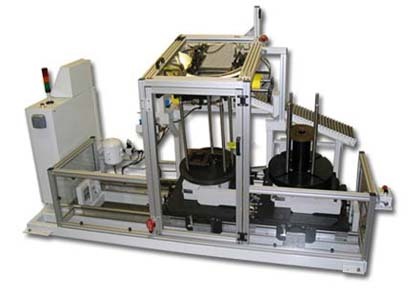 Some laser inspection applications require that every item be passed under the device, while others select samples at random. Although the latter leaves some room for error, it is sufficient in most settings and still provides more adequate coverage than visual inspections by the workforce.